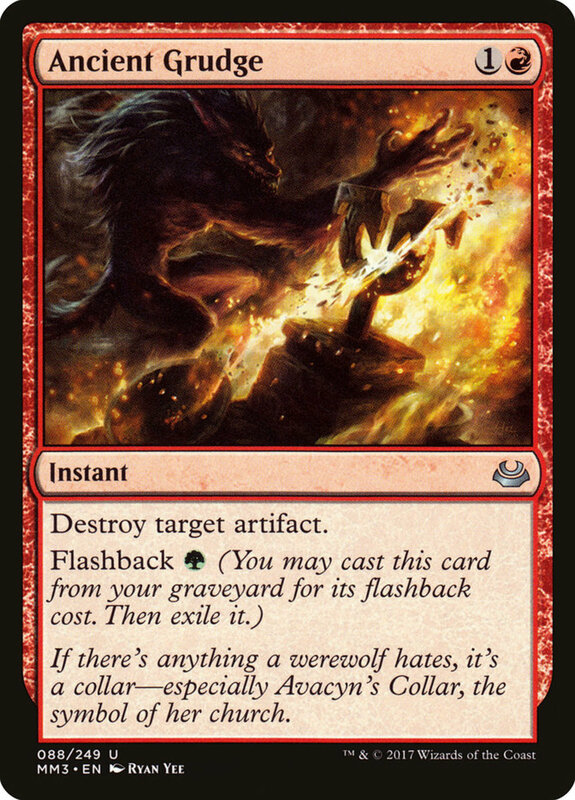 Since most artifacts in Magic are colorless, they can fit into any deck, so you'll encounter them in just about every structure you face, meaning you'll definitely want to incorporate spells that can eliminate these pesky relics. From equipment to vehicles to mana rampers, artifacts provide a variety of tricky effects, and the more you annihilate, the more you'll hinder your opponent's strategy. Luckily, the game contains several excellent methods to eradicate your foe's pesky metalwork. But with hundreds of removals spanning all card types and colors, which units reign supreme? These are the ten best artifact checks in Magic: The Gathering! Note that many favorites also punish enchantments, granting versatility and ensuring they always have targets to prey upon. 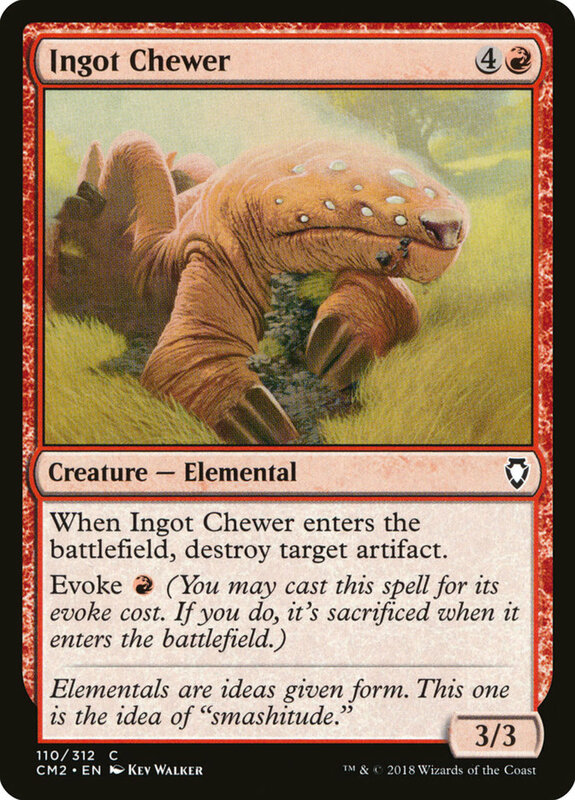 Ingot Chewer adeptly offers two casting methods, one for the early game and one for the late. 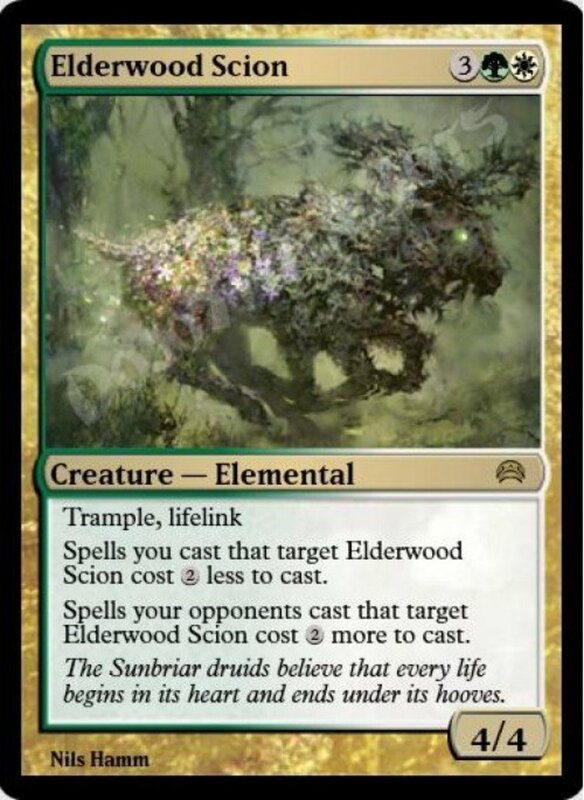 If summoned normally with five mana, he enters as a decent 3/3 (three power and three toughness) elemental creature and destroys an artifact upon arrival. 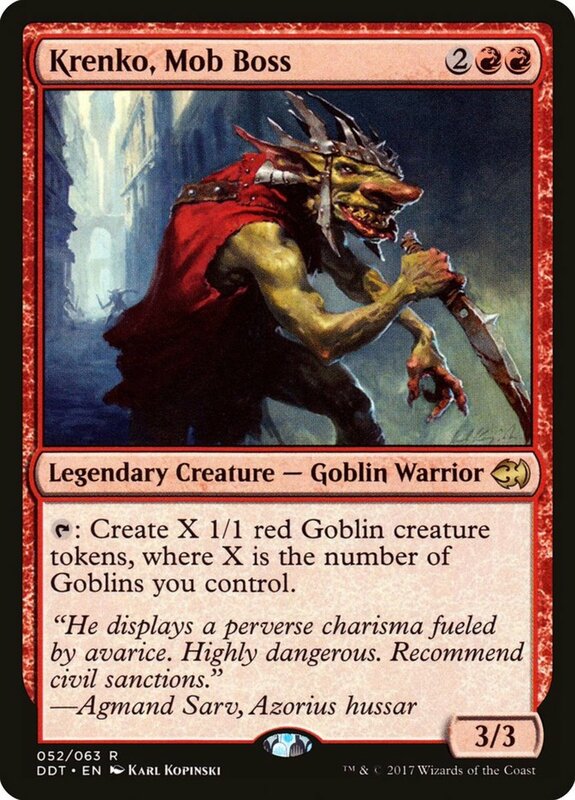 However, you can instead cast Chewer for his evoke cost of a single mana. In this case, he'll be sacrificed when he enters the field, but you can still trigger his entrance destruction, letting you adeptly eliminate a relic and stock your graveyard with one fell swoop. Crush Contraband costs a fair chunk of four mana, but operates at instant speed and only needs one white mana, easily blending into multicolor decks. When activated, you can either exile an artifact, exile an enchantment, or do both! Of course, you'll ideally want to banish two units if available, but Contraband helpfully lets you only target one (in case your opponent lacks the other type). Remember, exiling the units circumvents indestructible defenses and prevents them from later being recovered, ensuring your foe's threats are gone for good. Return to Dust is quite similar to Contraband, taking four mana (two of which must be white) and operating at instant speed. 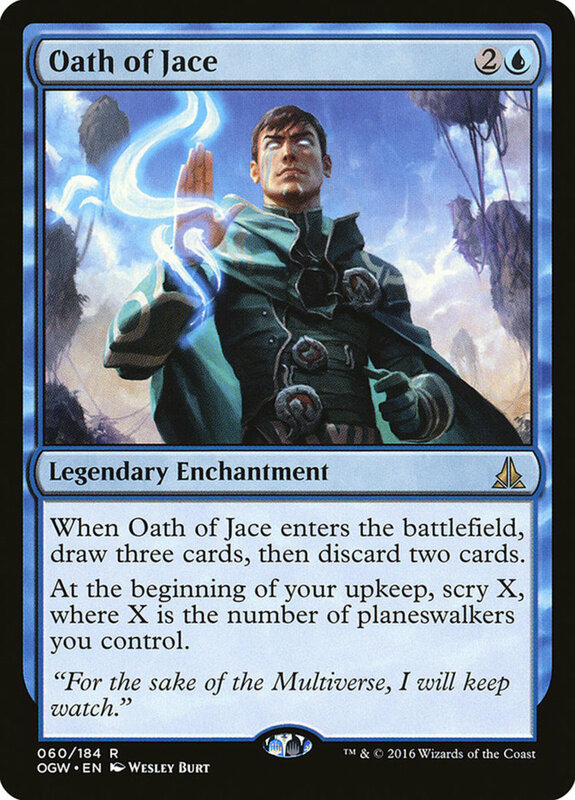 However, you'll likely want to play it as if it were a sorcery, because when cast during your main phase, you get to exile not one but two artifacts/enchantments! 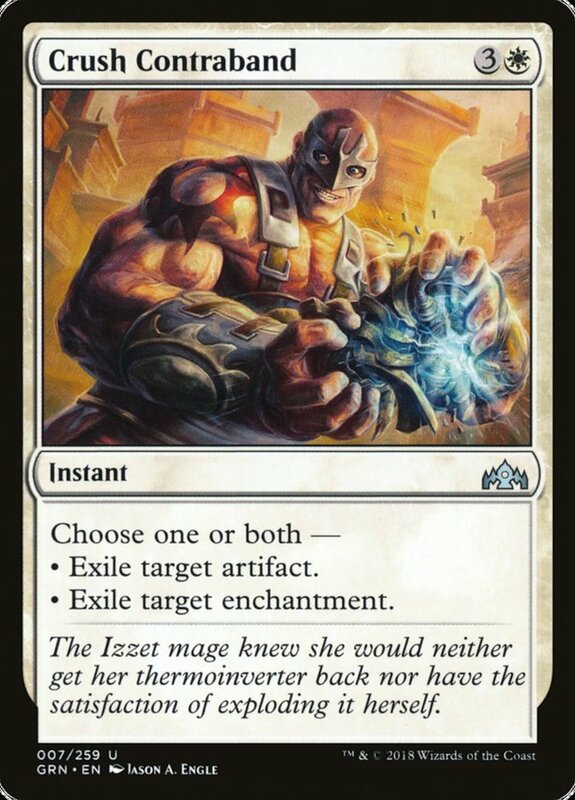 To compensate for its slower speed and slightly more stringent cost, note that Dust can banish two permanents of the same type, helpful if your opponent wields multiple artifacts but no enchantments, or vice versa. Nature's Claim excels in numerous ways, but also grants an opponent a small bonus. 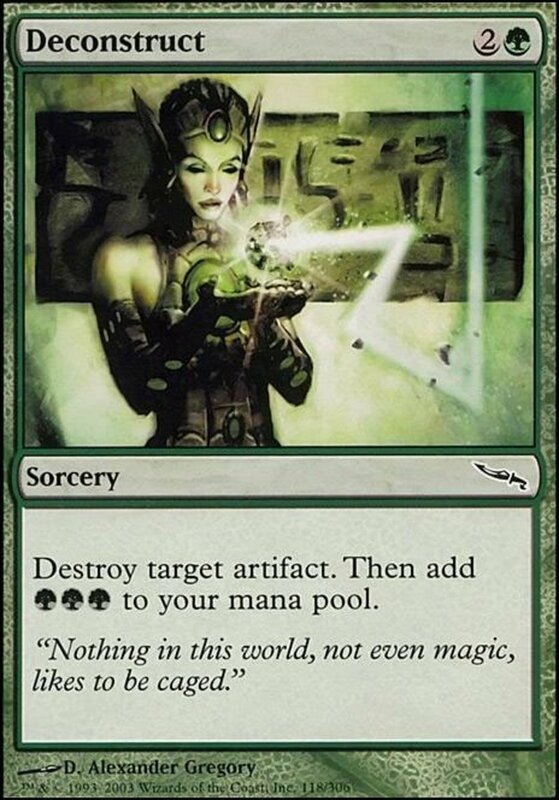 You see, for one green mana, Claim annihilates an artifact or enchantment at instant speed, letting you inexpensively and hastily remove a threat. As a price for its powers, Claim grants the controller of the destroyed unit four life. Unfortunate, but more than worth Claim's benefits, especially if you negate your foe's lifegain using cards like "Erebos, God of the Dead". 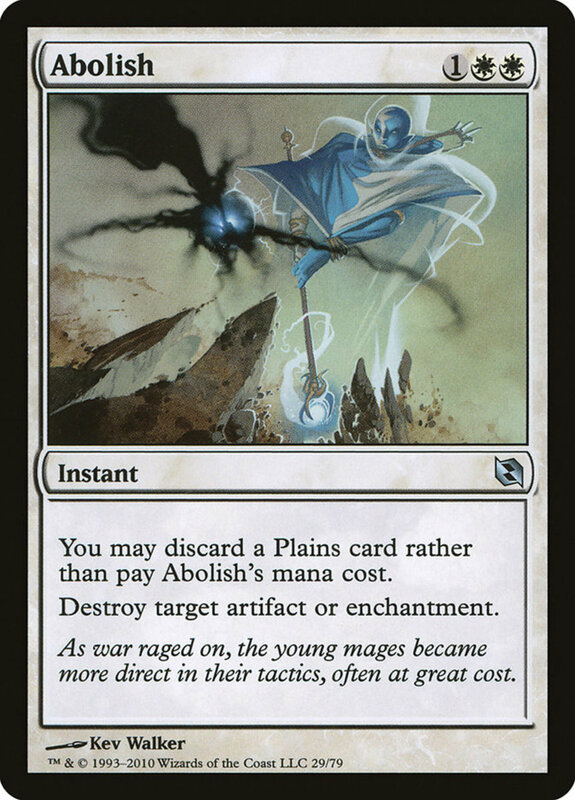 Abolish costs a fair chunk of three mana, two of which must be white, but it functions at instant speed and destroys either an artifact or an enchantment. Plus, you may avoid its mana cost entirely by discarding a plains land! Thus, you can skillfully change your casting method based on your current situation, letting you fuel Abolish with either leftover mana or extra lands in hand (perhaps obtained with white's infamous "Land Tax"). Note that using Abolish's alternative fee trashes both a land and an instant, useful for the graveyard-fill conditions of cards with "threshold, "delirium" and "spell mastery" effects. One of the best green/white duos in the game, Aura Shards is an enchantment that ironically punishes other enchantments (and artifacts). While it has no immediate effect, whenever a creature enters the battlefield under your control, Shards lets you destroy any artifact or enchantment! This excellently rewards the creature-heavy green and white factions by combating either of two spell types. As icing on the cake, the keyword "may" lets you ignore the effect if desired, preventing you from having to blast your own units if only you currently control artifacts/enchantments. Hull Breach needs one red and one green mana, so be careful when using it in rainbow decks, as you may find yourself with the wrong mana types. It also only resolves at sorcery speed, restricting it to your main phases. However, for its inexpensive price, Hull Breach lets you destroy an artifact, destroy an enchantment, or destroy one of each! Thus, you'll optimally be removing two threats with just two mana, but Breach's versatility also let it eliminate a single card if that's all you need. Some spells (looking at you, "Decimate") require you to have a valid target for each destruction type, which can accidentally end up obliterating your own units; Breach avoids the mess with its handy wording that lets you guide its blast. 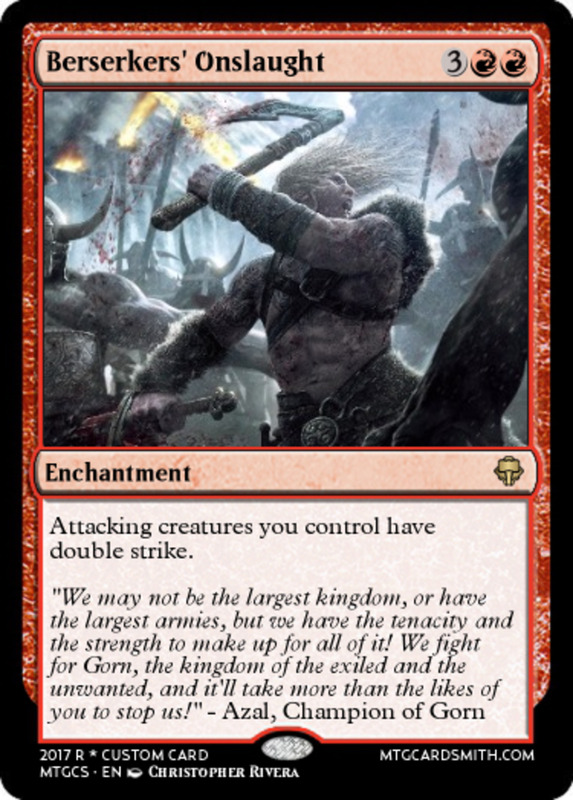 Ancient Grudge again mixes red and green mana, although its initial casting only requires red. For just two mana, you have an instant-speed artifact destruction. Then, for a single green mana, you can use Grudge's flashback trait to recast it from the graveyard (exiling it afterwards)! Thus, you get two artifact removals for just three mana, and these resources can be split over multiple turns if needed. Grudge also makes handy fodder for forced mills or discards into your graveyard, as it can then immediately access its flashback. Like Grudge, Mutation offers a quick-play speed artifact removal for just two mana, one green and one red. It destroys an artifact and is the only spell in this entire list that prevents the relic from regenerating, helping ensure its demise. 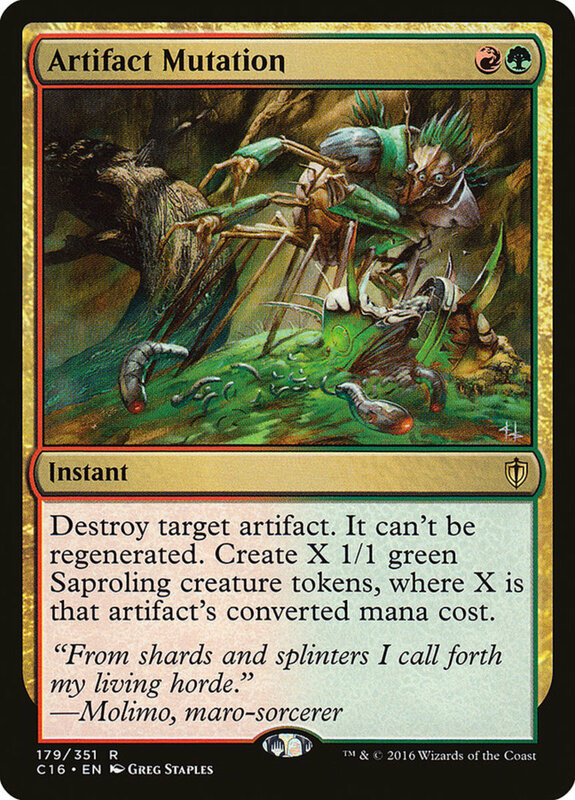 Plus, you then get to create X amount of 1/1 green saproling creature tokens, where X is the CMC of the destroyed artifact! Thus, Mutation scales remarkably well even in the late-game, letting you shatter a costly relic and receive an abundance of token blockers (who can each trigger Aura Shards) in one fell swoop. A rare fused card, Wear/Tear lets you cast either or both halves, adeptly adjusting to suit your current needs, and both operate at instant speed, letting you play them in any phase or turn. 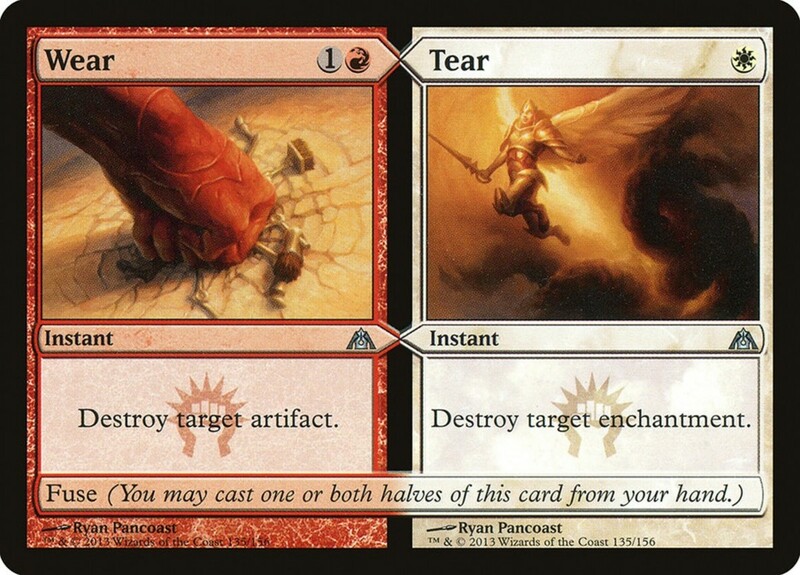 Wear takes two mana and simply destroys an artifact; Tear needs one and eliminates an enchantment. Three mana for two speedy removals already impresses, and the ability to divide your spell (and cost) in two sweetens the pot further. 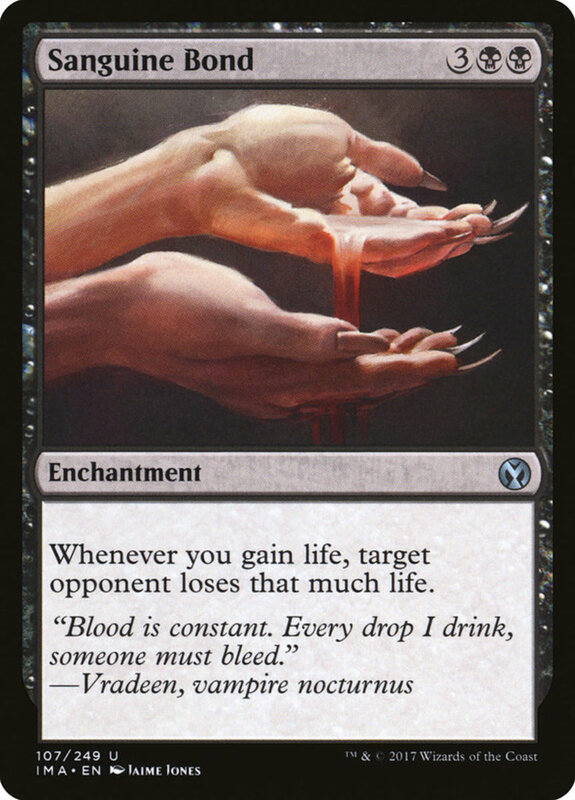 Wear and Tear are easy choices for any red/white deck I craft, having saved my bacon in several EDH matches, and are surprisingly affordable, often costing less than two dollars! We've now examined several potent artifact removals; remember to keep an eye out for spells that exile or prevent regeneration, bypassing several possible defenses. Also beware several of the best artifact supports, like planeswalkers Tezzeret and Daretti, whose relic-swarming tactics can quickly overwhelm your forces if left unchecked. 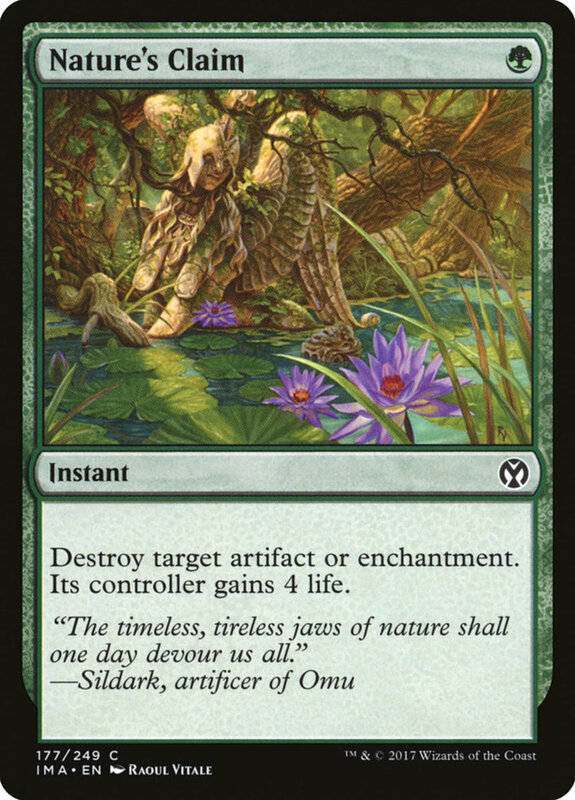 Artifacts remain a competitive and accessible card type thanks to their versatility and colorless nature; don't overlook the importance of hampering their vast powers. 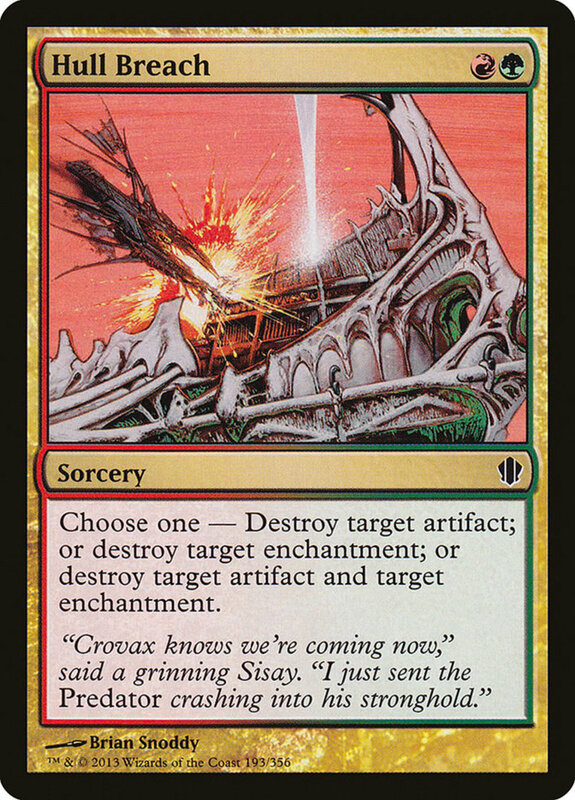 But for now, as we eagerly await Wizards of the Coast's next expansion of potent artifact removals, vote for your favorite card and I'll see you at our next MTG countdown!